The works were displayed as part of the Digital Assembly conference. Non-traditional exhibits created by Slovak innovators were displayed as part of the Digital Assembly conference that took place in late September in Bratislava. 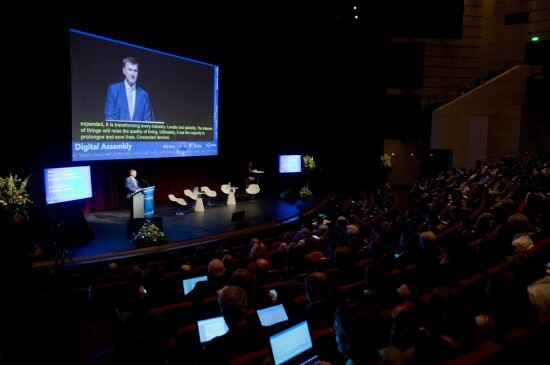 The event focused on the digital agenda took place as part of Slovakia’s Presidency of the EU Council, the TASR newswire reported. Among the exhibits displayed in the corridors of the Slovak National Theatre building was a wood computer, named Xerry. The computer has its own touch and temperature sensor which enables turning the computer on and off by touching the wood, TASR wrote. The participants of the conference could also see an animation with sound effects that transported them to the premises of the already vanished industrial cultural heritage Elektráreň Piešťany by using virtual reality and special glasses. The authors are architects from the Slovak University of Technology in Bratislava. The last exhibition called Wireless World displayed the development of wireless communication since the turn of the 19th and 20th century to today, TASR wrote.